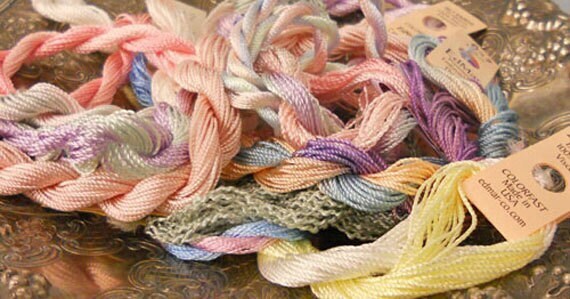 Shabby Cottage Thread Pack of 10 skeins of Edmar Thread. Shabby Cottage Thread Pack contains 10 skeins of thread of Edmar Thread. This grouping is all shades that accent the shabby furniture and accessories that are so very popular right now. Each pack is packaged in a plastic bag. Great value and speedy delivery, thank you.